MØ2: What makes a home? So home is a weird one for me. I've always felt displaced. Like I'm only ever visiting. Like staying in one place would be settling and the most incredible experiences are forever just over the horizon. I think it's got something to do with moving as a kid during my formative years. Writer-man, Robert Kelsey told me that this is probably where my feelings of outsiderness come from. But London was different. It's a city full of unexplored horizons. I don't think it's possible to see the entire city because there are things hidden beneath the very bricks. You could live there for twenty years and still feel like you're missing out. So for a while I thought London was my home and when we left I felt all sorts of sick. I pined for the city like some unrequited teenage love. But I knew it was the right decision. Money, room, space, something. Moving to Manchester was the smart decision. But I pined, for sure, and when we decided to take a day-trip back down to London Town yesterday I couldn't wipe the smile from my face. 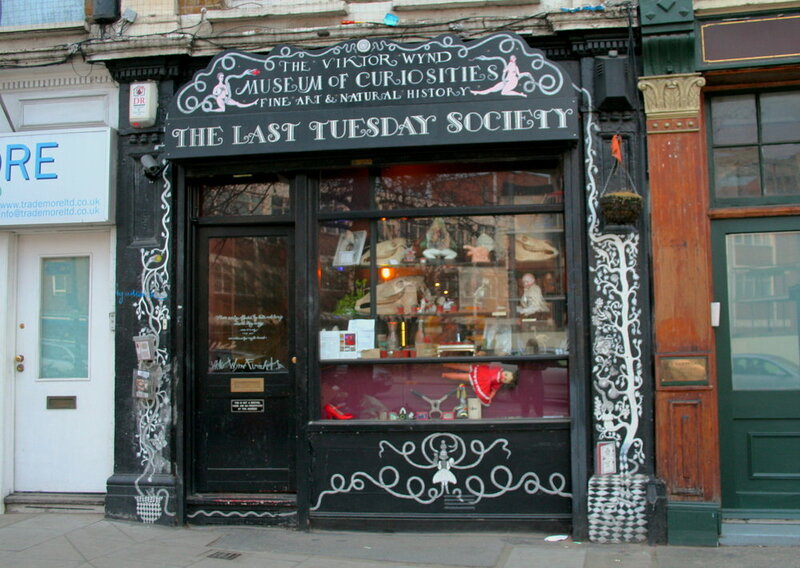 So we went, we walked familiar streets, visited favourite café's, and even picked up some of the most amazing fried dumplings from Jen Café in Chinatown, and we even went and looked over one of those unexplored horizons and checked out The Viktor Wynd Museum of Curiosities. Definitely one of the stranger experiences of my life. I think I might've lost some of my soul in that museum. Check the pictures up top. But the most curious thing that I got from the day-trip? As we left those ancient city streets and made the long trek back to the north and I saw the sun rising over the Peak District and the extended middle finger of Beetham's Tower, I felt something quite peculiar indeed. I felt like I was coming home. Maybe Manchester is the place I'm supposed to be. Maybe it's the place I can settle. Or maybe it's not that at all. Maybe my definition is changing. Maybe I'm seeing myself and my life on different terms. With everything so accessible by train and bus and Skype. Maybe it's just that a city is too small a scope for what I can call home. England is my home now. England. En-gur-land. En-gur-laand.